For Firkin Friday last week, Legend tapped its Z-Dam summer ale with lemon and mango and their new west coast IPA with tangerine and pineapple. Get you some while it lasts. This Friday, Castleburg will bring back For Love & Roses, a tart cherry, and lavender saison. This 6.7% brew will transport you to another time! Hardywood will release its Richmond Lager in cans tomorrow at its Richmond taproom. Virginia-grown Cascade hops constitute 20% of the hop bill for this 5 percent brew, lending subtle notes of citrus in the finish. They’ll have their food truck court from 4 to 10 pm. 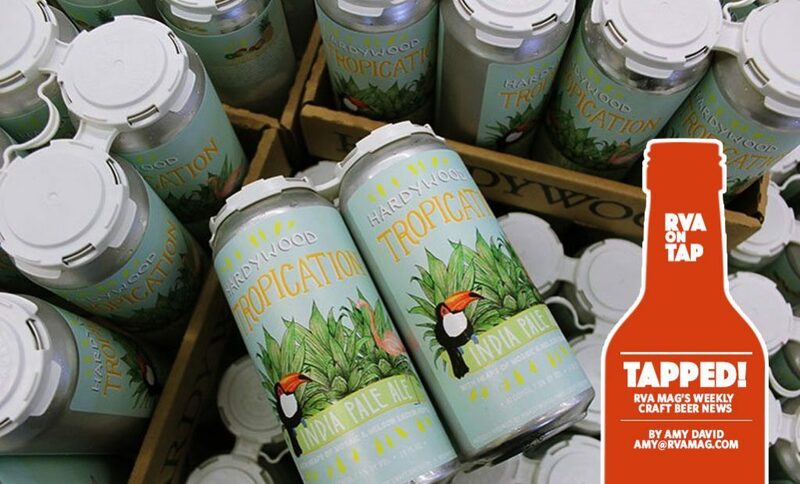 Hardywood will also release its tasty Tropication brew on Friday, Tropical fruit aromatics burst on the palate with notes of passion fruit, lychee, mango, pineapple and lime with this 7.5% brew taking you away to paradise at least in your mind in this weekend. Available at their Richmond, West Creek, and Charlottesville locations. 4×16 oz cans, $15 + tax. Today, you can grab the new Amarillo Gose at Vasen Brewing in Scott’s Addition. Then catch them the rest of the week for trivia, live music, food trucks, and yoga. This Thursday, Three Notch’d RVA Collab House returns with their weekly collaboration, this time its “Humanity’s End”, a saison with agave and peppers made in partnership with Sink/Swim Press for the release of the Savage Lyrics 3 comic. The acclaimed series is back with a new artist, written by Ian Bodkin and illustrated by Christian D. Leaf and takes place many years in the future during a period known as the Aftermath, where a single town survives in the post-apocalyptic wasteland. A handful of survivors continue to toil in a survival day to day under the totalitarian law of the Ministry and the watchful eyes of their acolytes, the Clerics. The brewery has taken serrano and habanero peppers to make a peppery, earthy saison base with a touch of agave syrup. Fine Creek Brewery will release Dad Strength, a Mosaic Citra DIPA this weekend and will have their Duffy’s Dry Irish Stout as well. The brewery will release its ‘Southern Sour’ Biere de Garde. 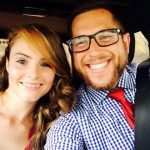 Old Money will be playing live on Saturday. ‘Letters to Abigail’ will be playing for us Sunday, they are traveling here all the way from North Carolina. First released six months ago, Shake Some Action DIPA is coming back at Final Gravity Brewing Co. this Friday. Calypso, El Dorado, and Citra hops are all you need to make it all right. Will be available on draft and to-go in Growlers and Crowlers. On Sunday, Ardent Craft Ales will host a Birdhouse Market Benefit Dinner. This annual fundraising dinner centers around a collaborative, family-style menu sourced from the Birdhouse Farmers Market’s farmers and specialty food producers and prepared by chefs Caleb Shriver, Paul Winston, (Dutch & Company) Ben Burakoff, (Rapp Session) Evrim Dogu, Evin Dogu & Ben Lee, (Sub Rosa Bakery) with all proceeds supporting this urban, mid-week farmers market. On Sunday, Blue Bee Cider will host its 1st Annual Pawl Crawl to benefit Sanctuary Rescue. food, cider, craft brew, contests, pet photos, adoptable pets, games & canine demonstrations. Pawsome vendors will be at both locations. Begin the crawl at Blue Bee Cider then walk the party over to Veil Brewing. A donation of $6 includes a commemorative wristband and a WAG BAG full of pawsome stuff from our contributors. Sanctuary Rescue will be on site with a couple pups available for adoption. This Saturday, Center of the Universe will release its Homefront IPA. This traditional American IPA is brewed with Cascade and Chinook hops and 100% of all proceeds from the sale of Homefront IPA will be donated to the Soldiers’ Angels (Official) Foundation. Canon & Draw Brewing has released new brew Thin Skinned Saison. Named for the thin skins of tangerines this is the perfect beer for summer. Don’t let the rain this weekend keep you away from this citrusy brew.